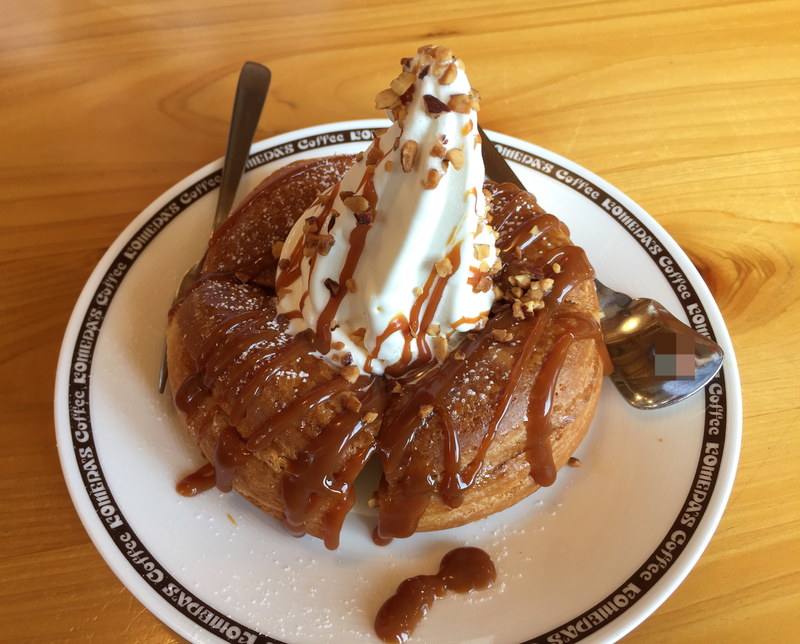 Komeda Coffee launched a new limited time flavor for Shiro Noir, a warm danish bread with milk soft serve on top and served with syrup. It's called Kyara-Noir and sold from yesterday, April 10, 2017 and I went there for lunch and tried the mini version. 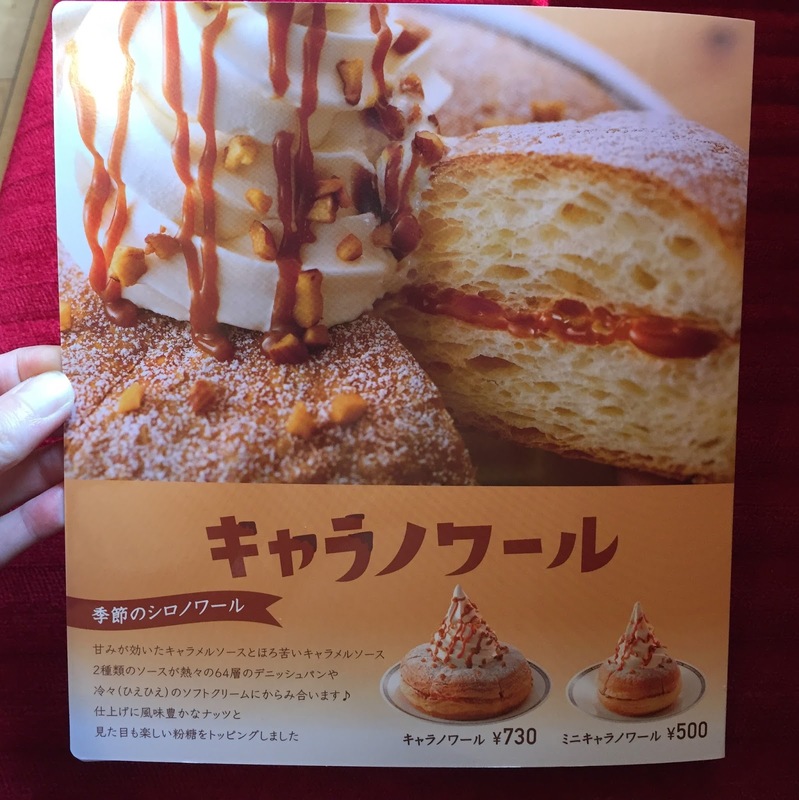 Kyara-Noir uses 2 caramel sauces; sweet and lightly bitter, and topped with caramel flavored nuts and powder sugar. Kyara is Kyarameru, which is caramel in Japanese. 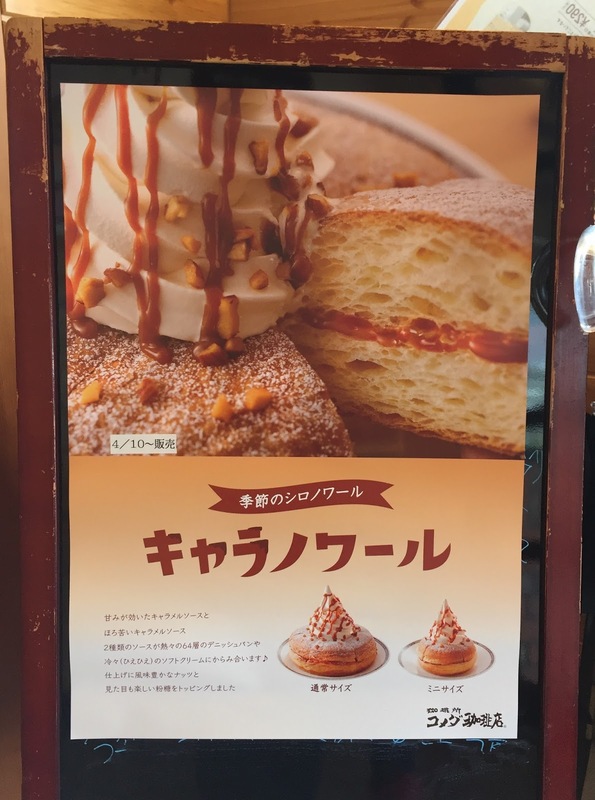 Over a warm danish bread, there's a tall soft serve with caramel drizzles and nuts with sugar. 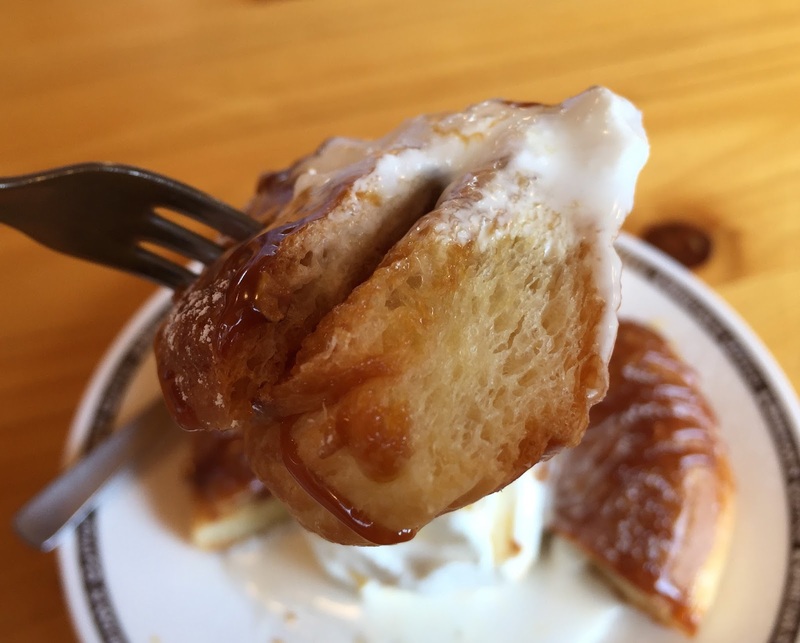 Between danish bread, there's caramel sauce. The surface of the danish was delicately crispy while the inside was fluffy and moist. 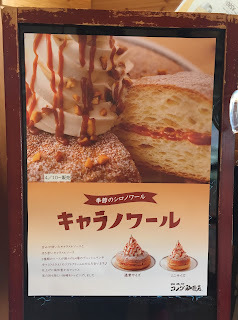 The caramel sauce was warmed up so that it's velvety and soft, and it's sweet at first but at the end, it left subtle bitterness in my mouth. Nuts were crunchy, soft serve was silky, danish was soft and the caramel sauce was rich, and this dessert was quite satisfying. Other items from Komeda Coffee Shop.